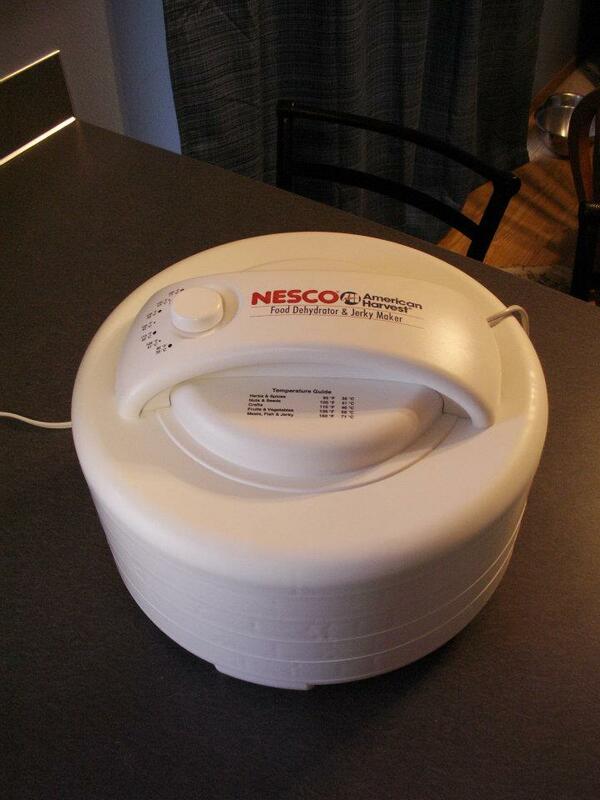 This is a food dehydrator that is used to dry food so that it can be stored for long periods of time. It is simple to use; just cut of fruit slices, dunk the fruit in lemon juice, lay out your fruit slices on the trays and plug in the machine. *Note you can also use this to make jerky. I had these apples plugged in for about 10 hours at the 135 degree setting. You can eat the fruit just like this or can add water to bring them back closer to their original state. 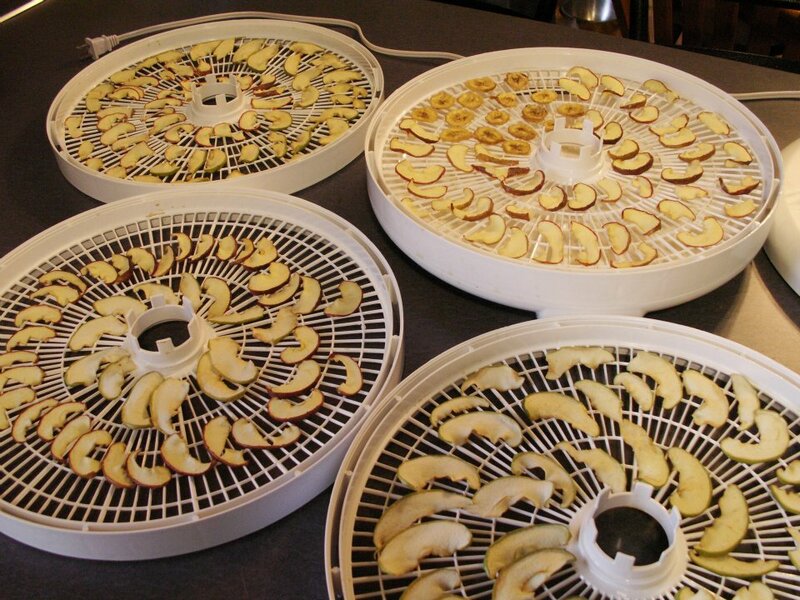 You can get this dehydrator at Bi Mart for about $40. I included a picture of the finished product after about 10 hours in the dehydrator.